Maclaren's triumph combines style and cushioned comfort with the flexibility of a multiple position reclining seat. 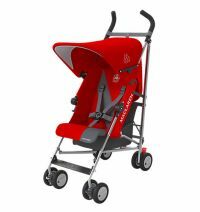 It offers children a sporty and stylish ride for long distance trips. 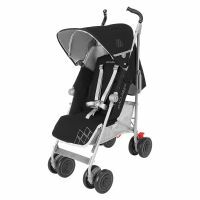 The compact, durable stroller is easy to steer, fold, and carry. 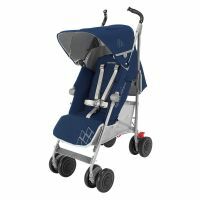 Features: Multiple position recline UPF 50+, large, waterproof round hood. 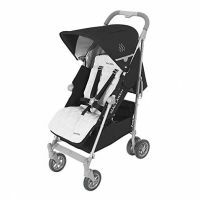 Carry strap, foot operated linked brakes, lockable front swivel wheels, 5 point harness, one hand, compact umbrella fold, high performance aluminium chassis. 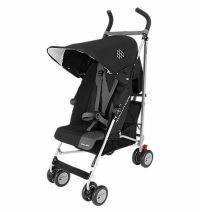 Removable washable seat fabric, included raincover. 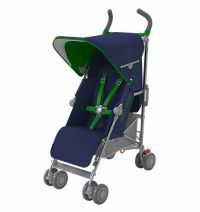 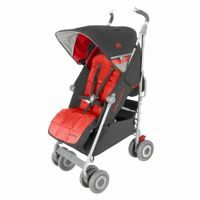 To Recieve updates and possible rewards for Maclaren Maclaren Triumph Stroller - Highland Green/Grey Dawn please sign in. 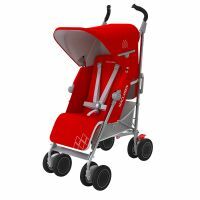 To Recieve updates and possible rewards for Strollers & Prams please sign in.